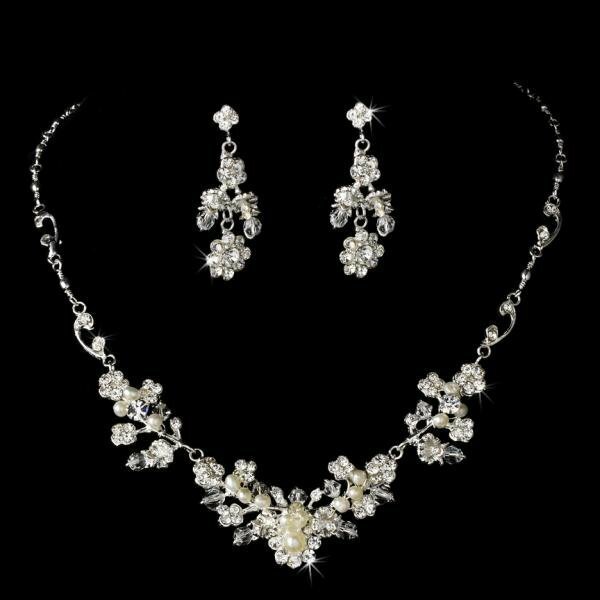 Lovely and alluring, this silver plated necklace and earring set features ivory freshwater pearls, rhinestones and Swarovski crystals in a delightful flower and vine pattern. The necklace measures 33 cm long with a 7.6 cm extender and lobster claw clasp. The earrings measure 3.8 cm.